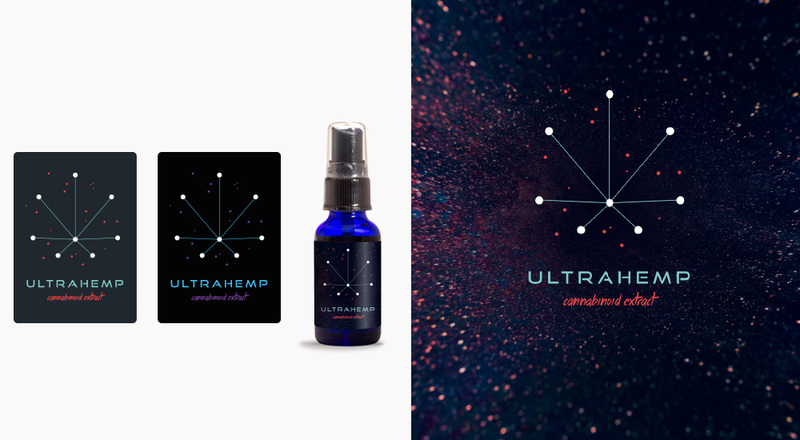 The team at Awesome Creative have recently completed a comprehensive branding, packaging and website project for an exciting start-up in the CBD market: Ultra Hemp. 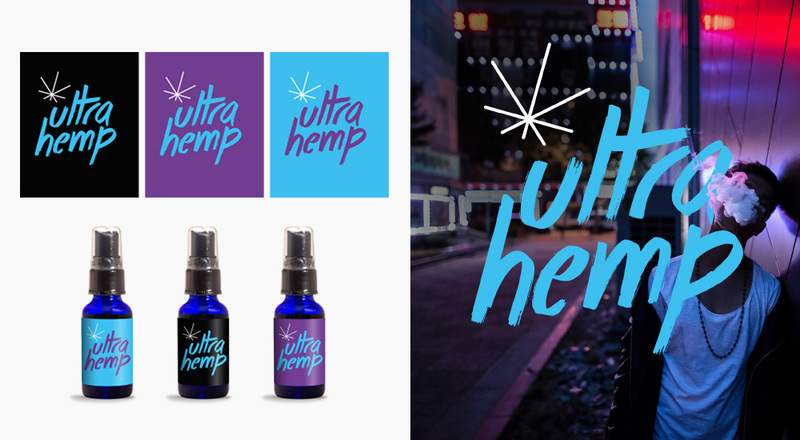 Ultra Hemp specialises in high-end CBD products created using 100% organic premium grade hemp. 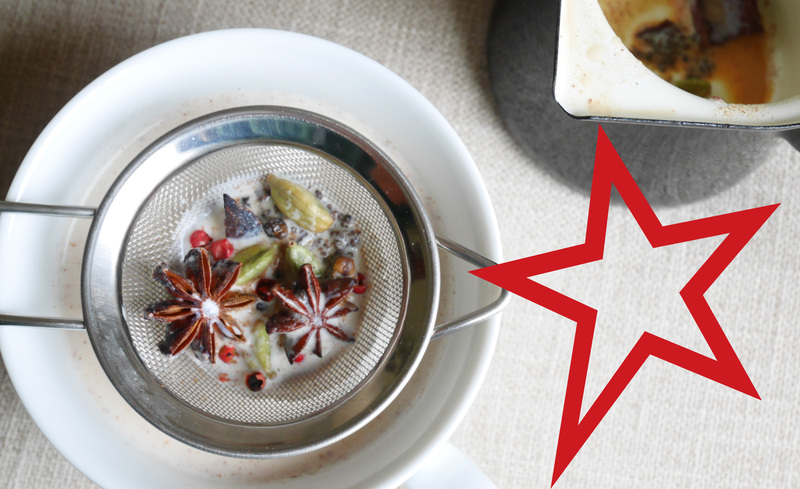 So what’s involved with this exciting new health trend, and why are the guys at Ultra Hemp on a mission to introduce their contemporary, carefully-curated blends to the market? CBD stands for cannabinoid oil. There are around 100 cannabinoids found in the hemp plant – this is the one that has been found to be most beneficial. When we think of cannabis we often think of getting high – but this is actually due to the THC compound within the drug. THC is responsible for the most commonly associated effects of cannabis – hallucinations, paranoia and lethargy. CBD is also present in varying quantities, but it is non-psychoactive. It also has a host of calming, rejuvenating benefits for both body and mind. This is why CBD is now legalised, but compounds containing THC are still illegal. So why does it work? The efficacy of CBD oil is thought to be linked to its closeness to our natural biology, since the body itself produces cannabinoids known as endocannabinoids. In basic terms it affects several neurotransmitter receptors in the brain to actively alter certain processes in the body. There’s more on this on Ultra Hemp’s website, where they explain this close biological connection in simple terms. 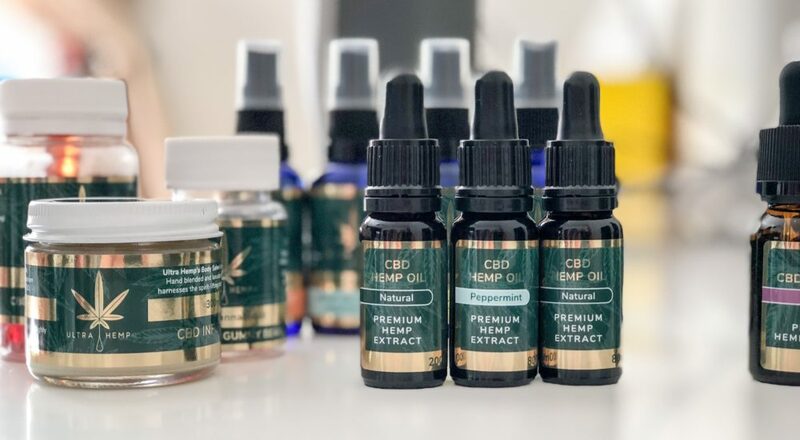 Chances are you’ve heard of CBD recently – thanks to heightened press coverage following its debut at Holland and Barrett. Since then various other brands have entered the market or enjoyed exposure to consumers who are increasingly conscious of what they put in their bodies. 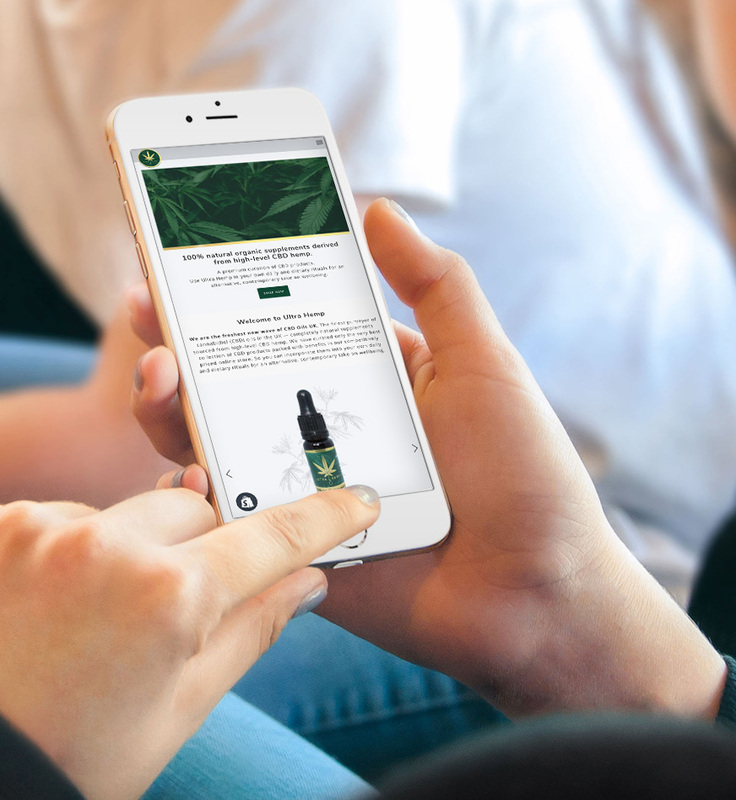 There’s a real buzz around wellness and natural health at the moment – and CBD fits right in with this trend. 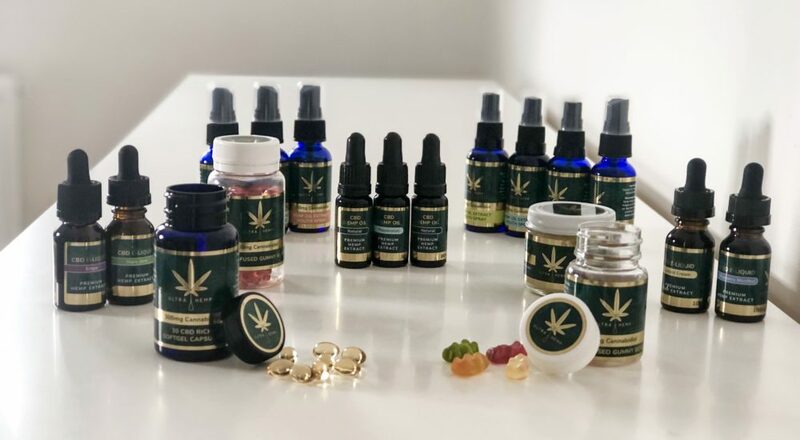 New research is being carried out all the time, revealing exciting results and paving the way for CBD as a treatment for a range of other illnesses and chronic conditions. Not all CBD oils and supplements are created equal. As the name suggests, Ultra Hemp focus on only producing top level CBD supplements. All products are 100% natural and organic, derived from premium grade hemp. As such the branding development process was detailed and centred around the brand vision and demographic. It would target discerning consumers well-versed in the benefits of CBD alongside those who were new to the concept and curious. We started with logo design and concepts – moving on to bring the colour concepts and imagery through every facet of the brand. Visuals needed to be high-end and luxe whilst reflecting and representing the nature of the products themselves. The end result conveys the quality of the product – dark, leafy greens combined with soft gold for a luxe feel. Within an increasingly competitive market differentiation of this kind was key. The graphic design element of this project was really exciting. 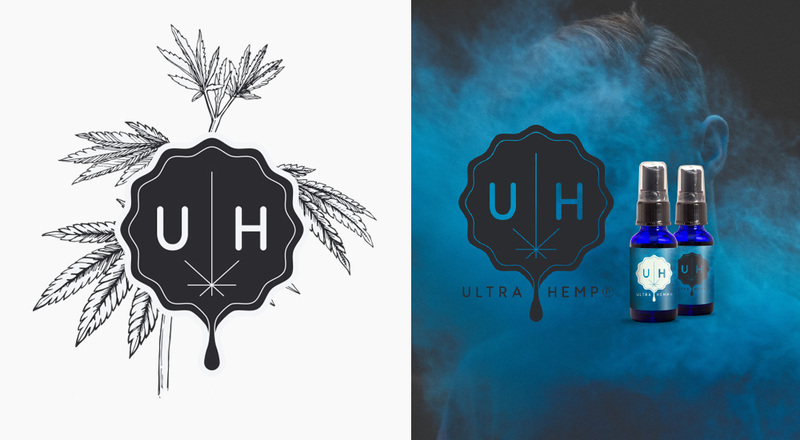 We came up with a variety of concepts, but eventually chose a brand design and logo design incorporating lush, luxe green and gold, using the hemp leaf motif for familiarity with a drop of oil beneath to drive home the nature of Ultra Hemp’s product offering. 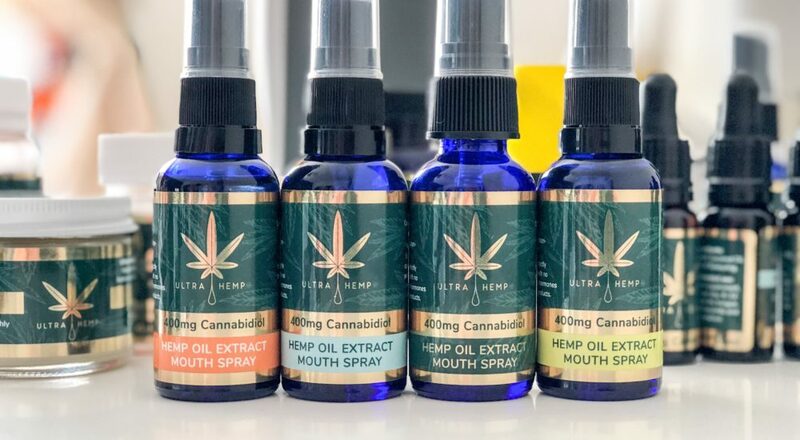 Ultra Hemp have a versatile range of products on offer – so a variety of different designs were needed for the packaging. We facilitated graphic design for retail and POS alongside FMGC packaging design to cover the full product range. 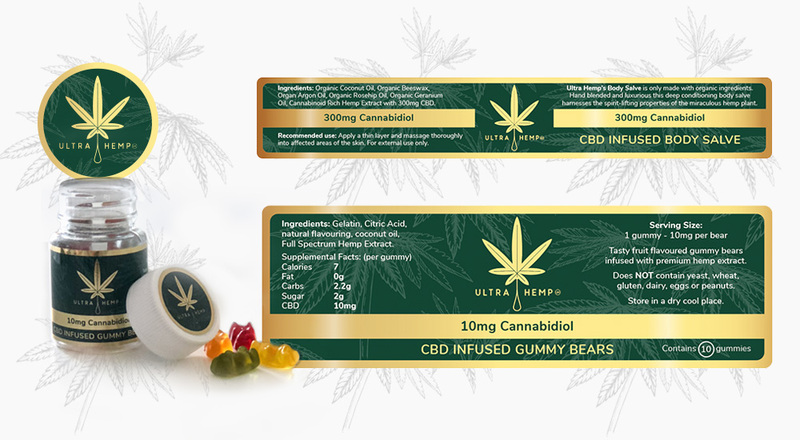 Design for print was also required to enable Ultra Hemp to effectively market their products to their target demographics. Are you looking for awesome packaging design for your product? Or are you are just starting out and need to develop a brand?